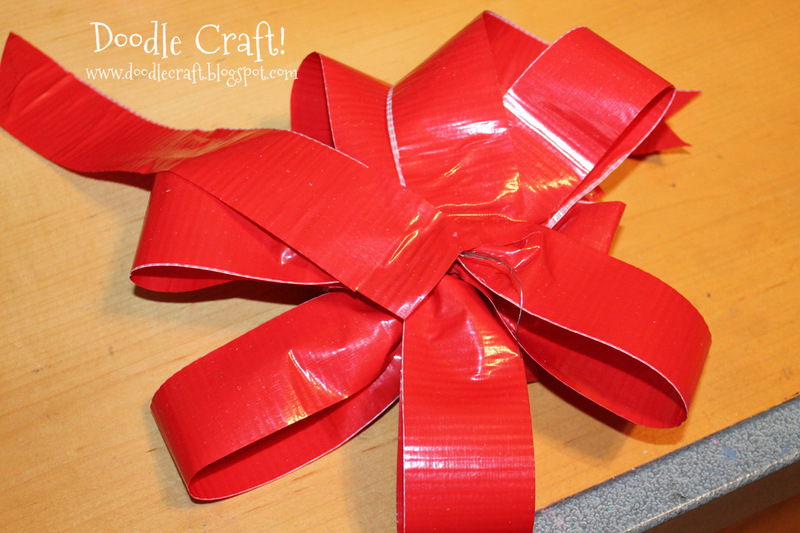 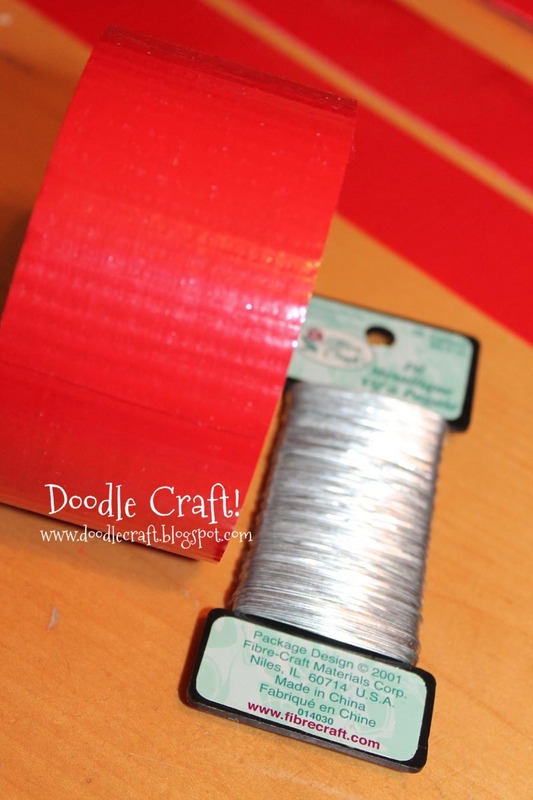 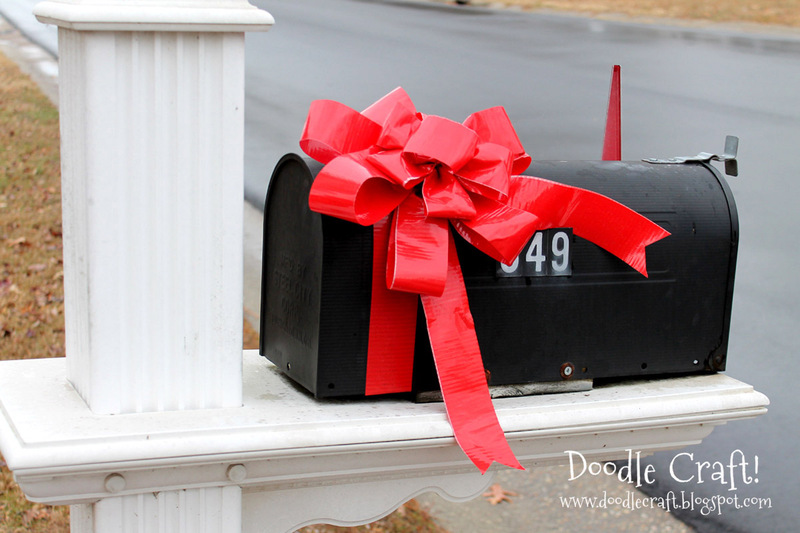 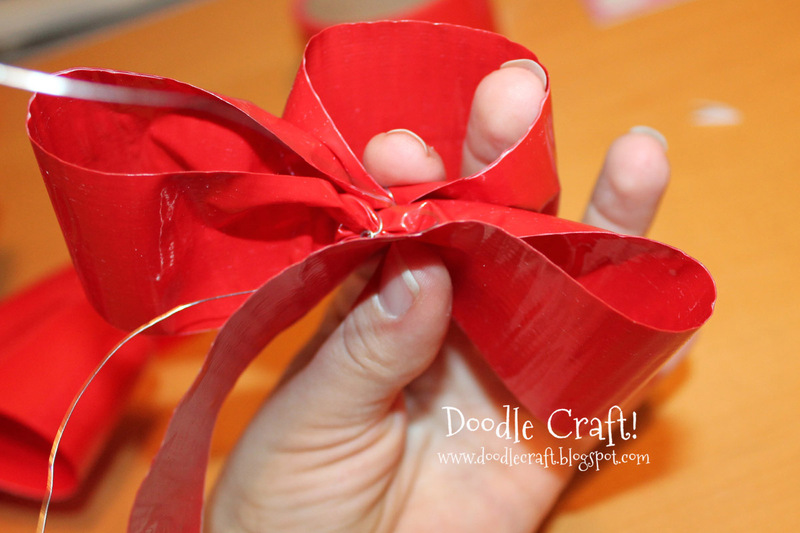 Doodlecraft: Duck Tape® Holiday Mailbox Bow! 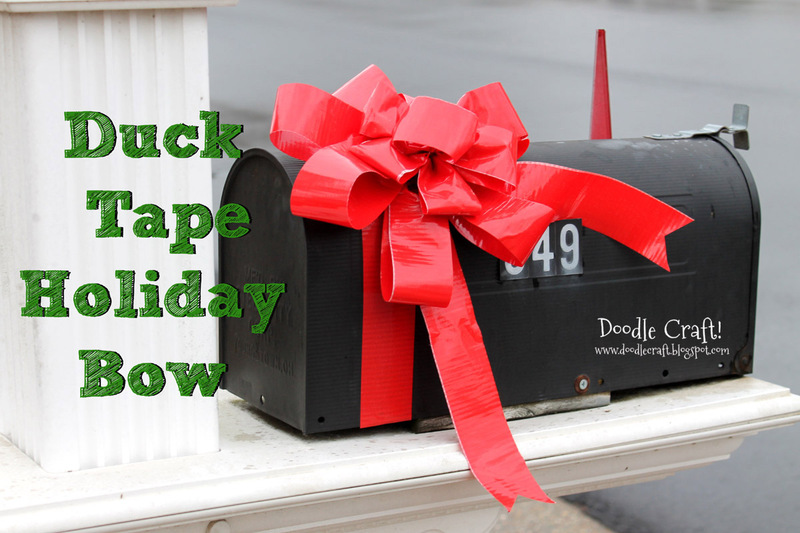 Duck Tape® Holiday Mailbox Bow! I love duct tape...and I love Duck® Brand Duck Tape! 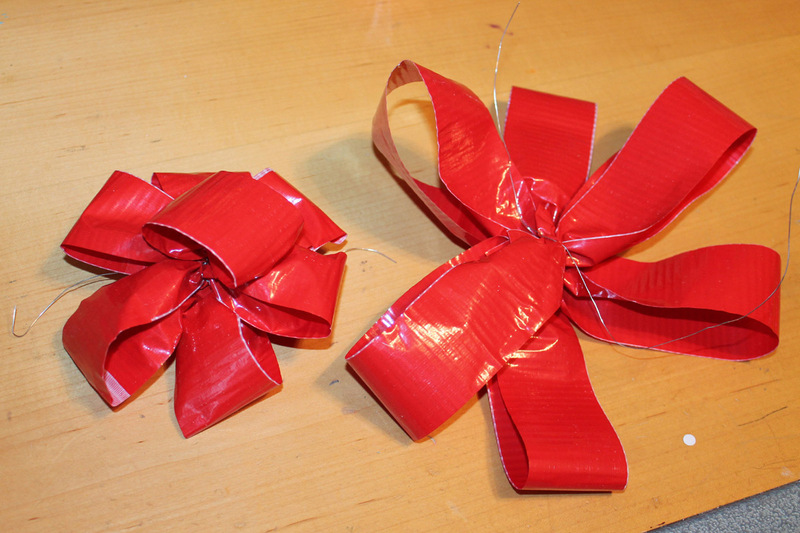 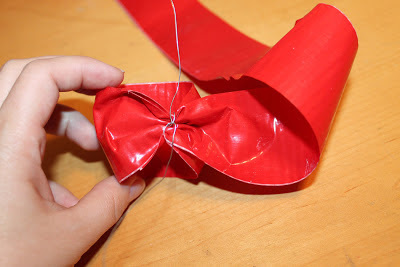 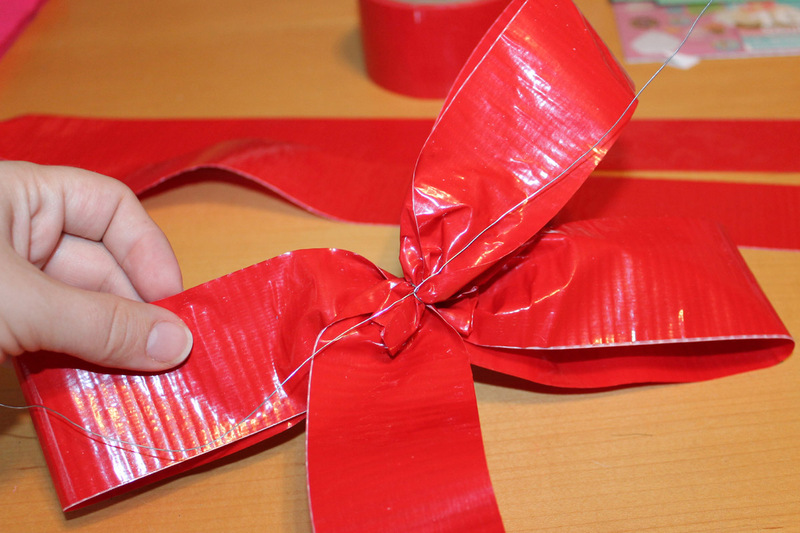 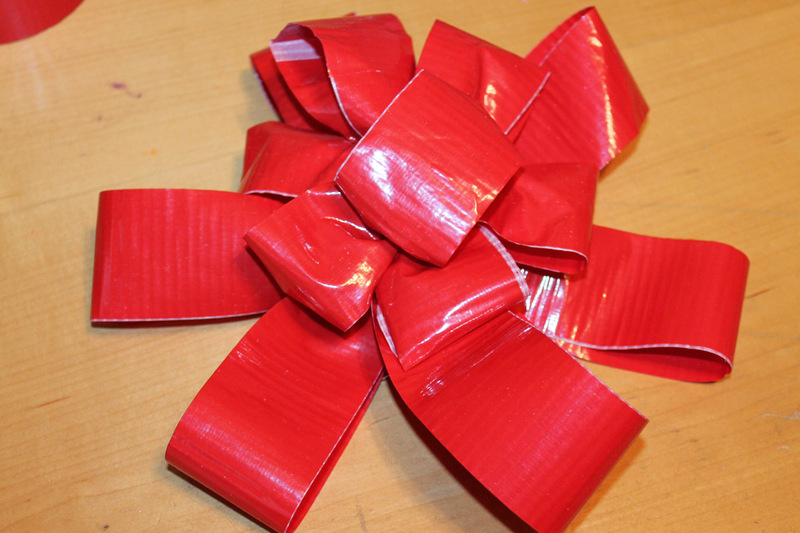 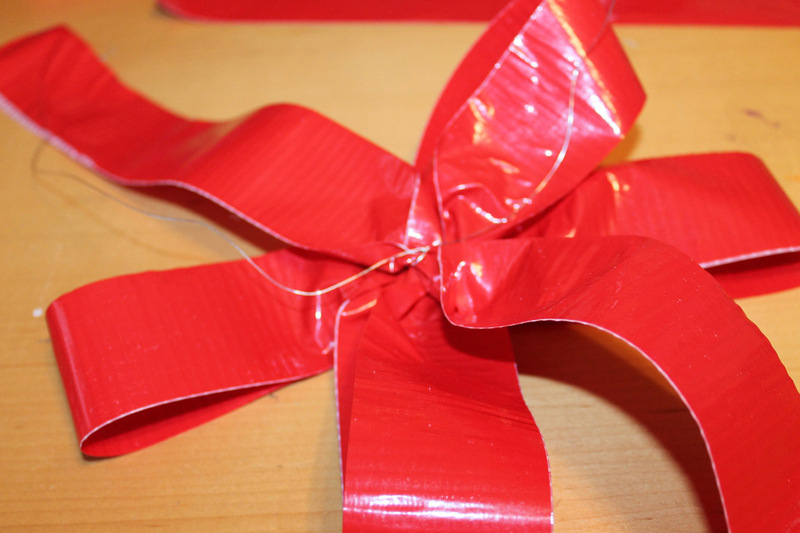 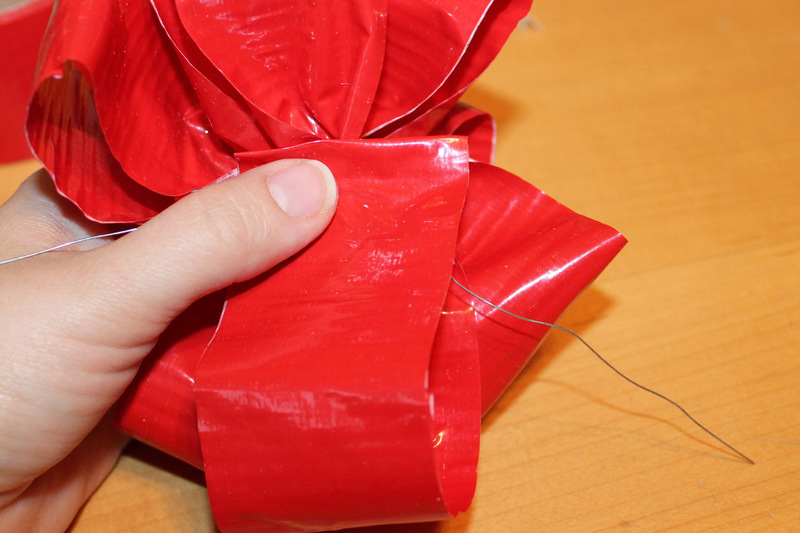 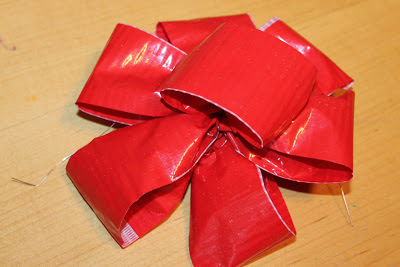 Here's how to make a fabulous Holiday bow for your mail box that is totally waterproof! 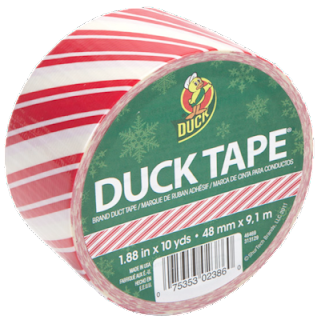 You'll need duct tape...and Duck Tape® has beautiful Holiday patterns! Or sports team patterns...show your colors! 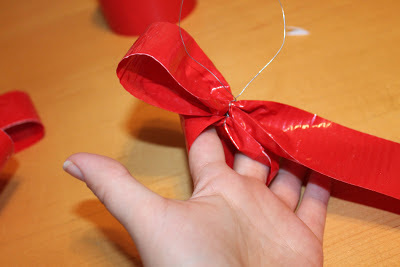 How cute would it be made of this? 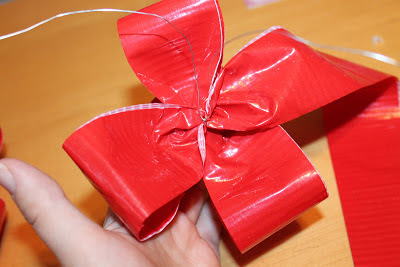 but whatever cuts it is great! 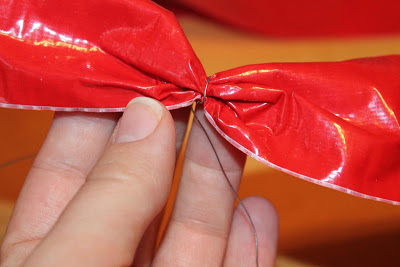 so it's not sticky, and it's like stiff ribbons! 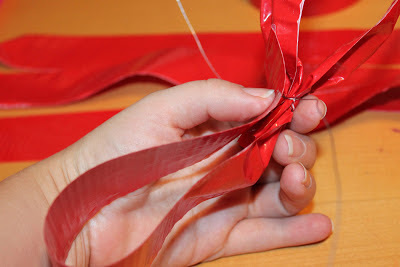 around the middle and twist it tight. Like so. 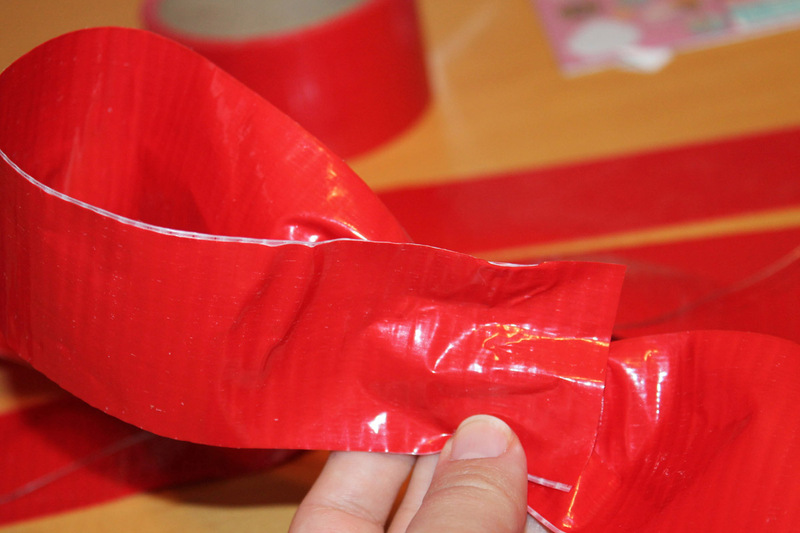 The tape holds its shape great and gathers perfectly! 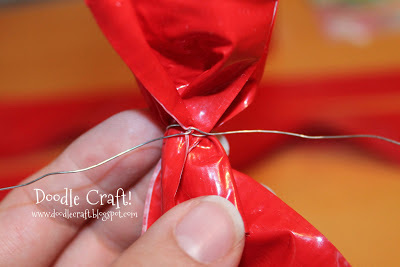 Wrap the other end and twist. 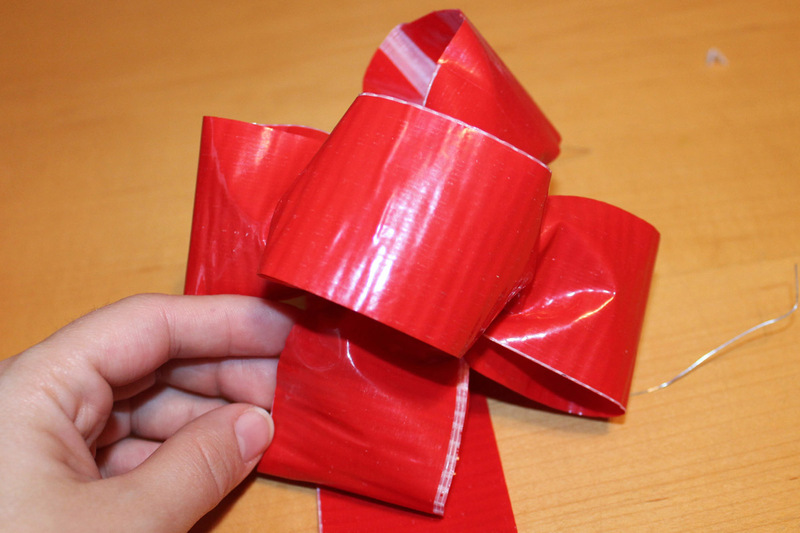 That will use one entire strip. so the loops show like a star. 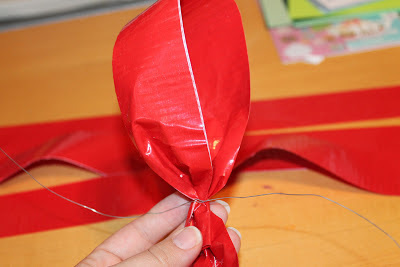 filling the last little piece of the star shape. 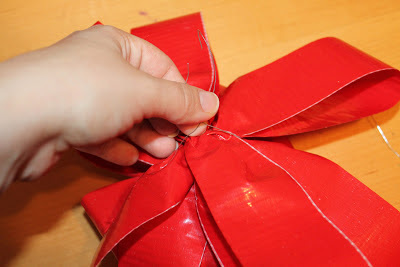 Set that piece aside and do the top piece now. 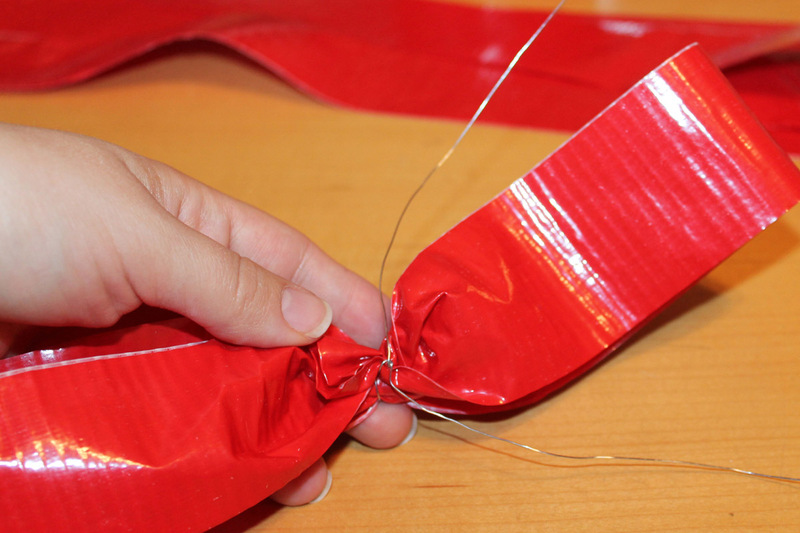 Get you 4th strip of tape...and another 18" piece of tie wire. 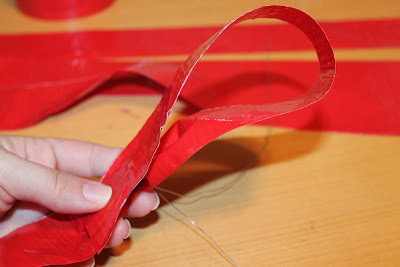 Start at the end and make a circle. 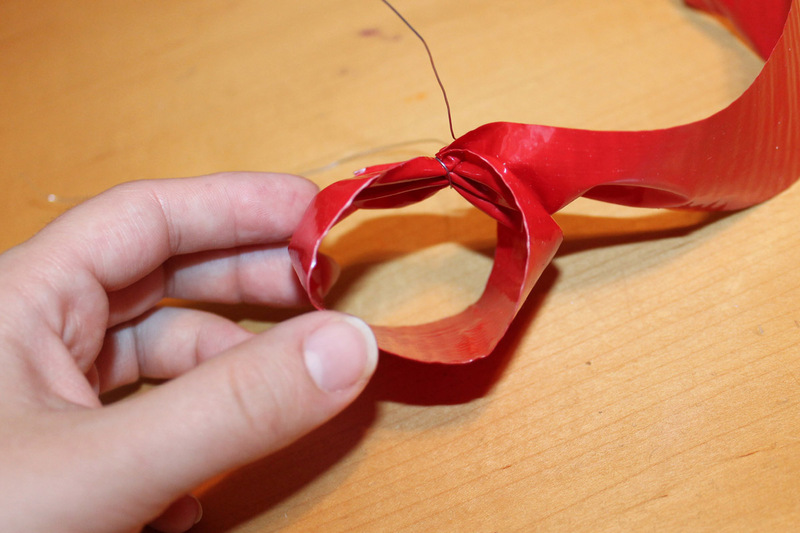 Twist it off with the wire. Then use that "tail" piece to make loops and tie them off in the center. a little sticky end showing and just taped it right on! These are things you just can't do with ribbon! 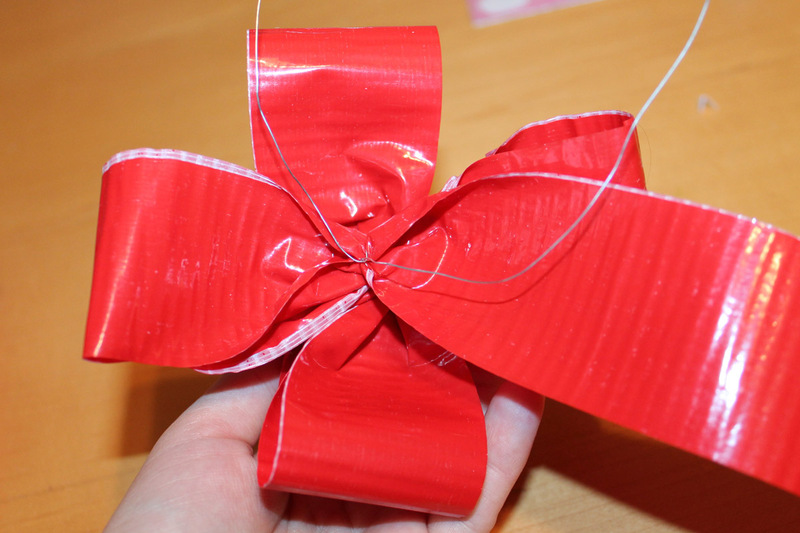 Now you have 2 pieces. 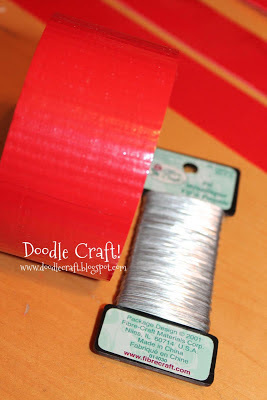 Big loop base and small loop topper! 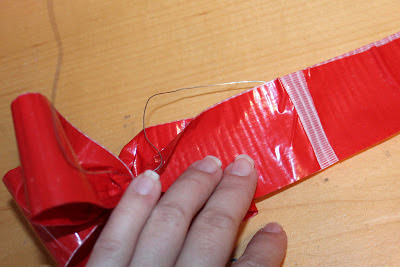 Use the remaining wires to loop the 2 pieces together. 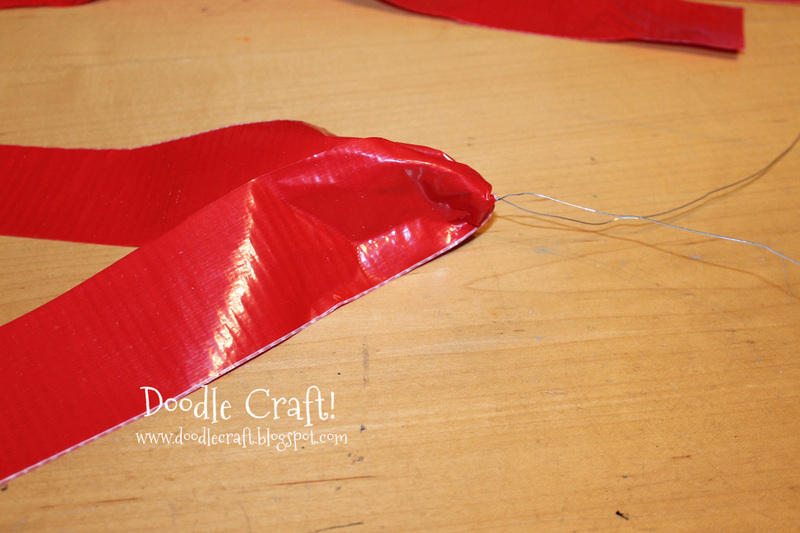 Twist wires at the underside tight! I used the excess wires to tape it on my mailbox. 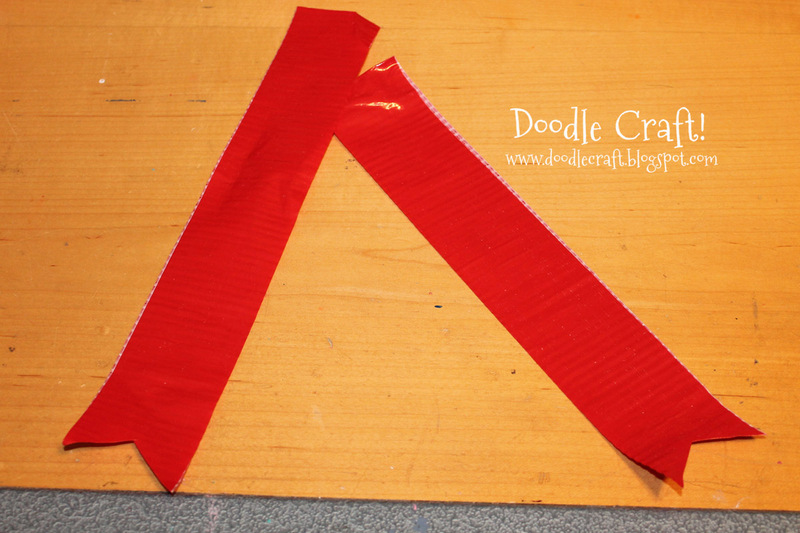 Cut 2 strips for tails...I like the pinked edge. Tape on the back of the bow. 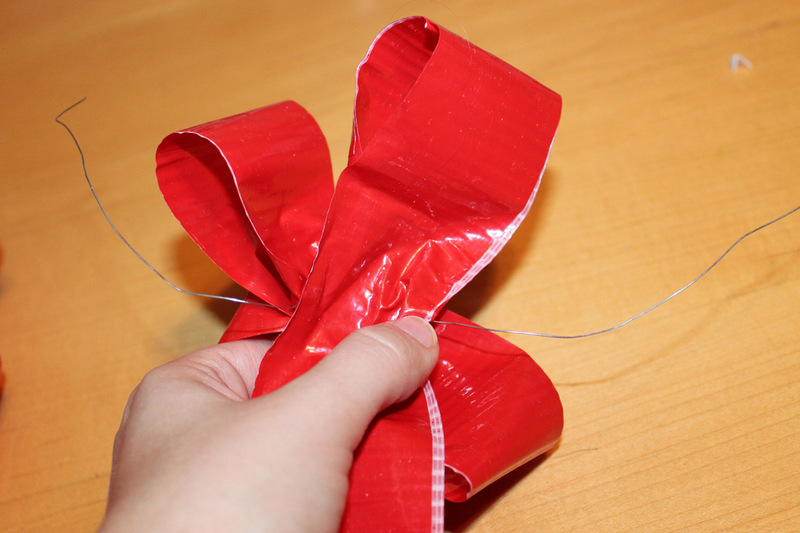 Tape the wires of the bow right where you want it! So cute and festive! It might stay up all year! 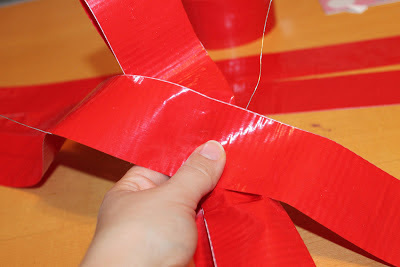 Or until I make one with patterned Duck Tape®! I'm going to the store to get duct tape today! 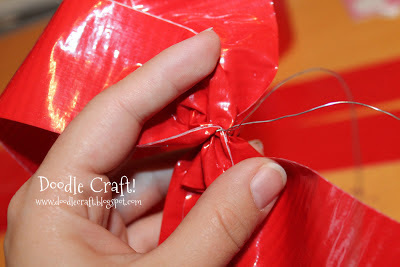 I haven't been too excited about projects this season... but I can't wait to do this!